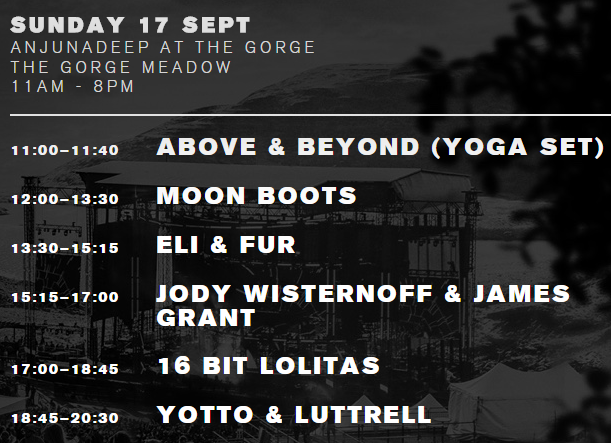 EmeraldCityEDM | Above & Beyond: Group Therapy at the Gorge! Above & Beyond: Group Therapy at the Gorge! 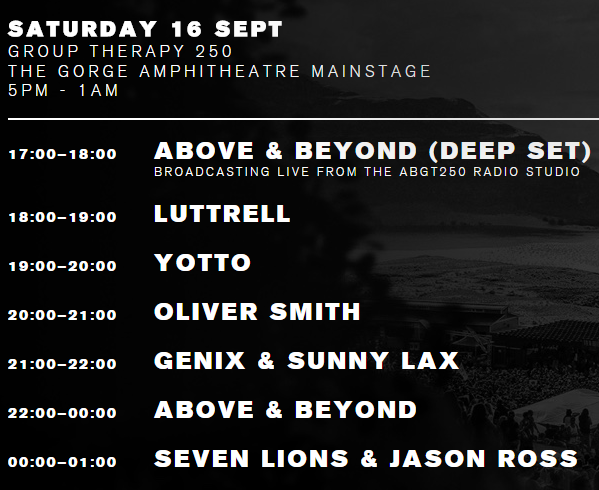 Above & Beyond announce a two day Group Therapy session at the beautiful Gorge Ampitheatre September 16th & 17th! 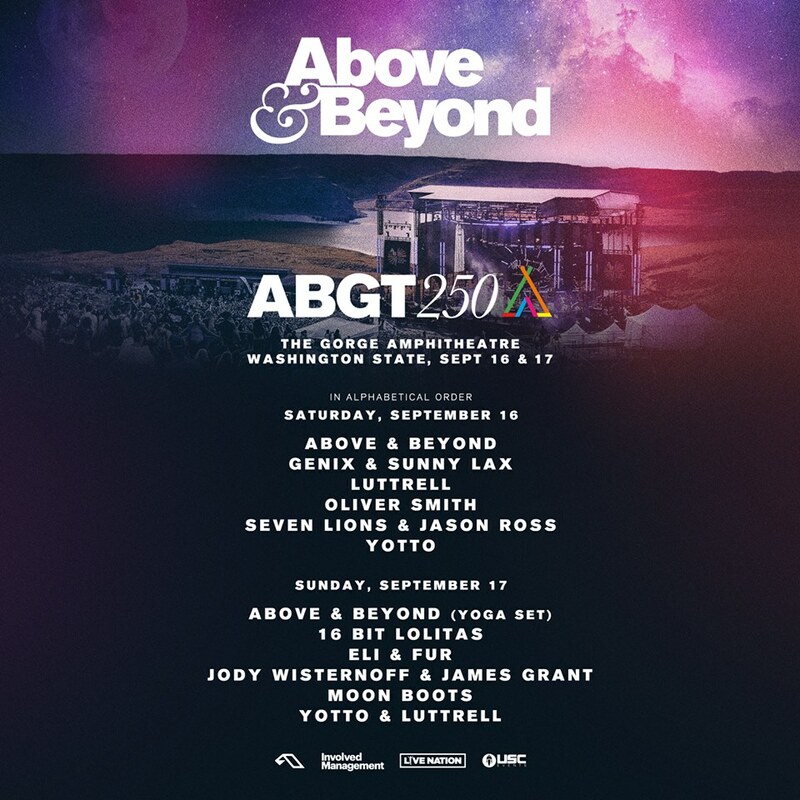 Saturday will see Above & Beyond celebrate ABGT250 with an 8-hour radio broadcast and global livestream alongside invited guest artists. Meanwhile, Sunday will feature a special Sunday Brunch with Anjunadeep event, showcasing artists from the label responsible for breaking such talents as Yotto, Lane 8 and Dusky in recent years, 12pm – 8pm on Sunday! Our first Group Therapy camping weekender takes place September 16-17 at The Gorge Amphitheatre, overlooking the Columbia River Gorge in Central Washington State, 150 miles outside of Seattle. It’s one of the most breathtakingly scenic venues we’ve ever been to and one of our favourite places to play anywhere in the world. The main event and livestream will be held on Saturday with our Anjunadeep division curating Sunday Funday beats, eats and a few surprises.